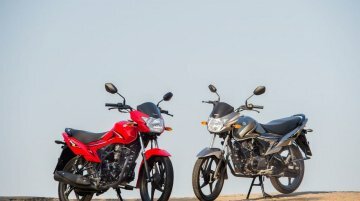 Suzuki has revealed that apart from electric cars, the company's two-wheeler division is developing models for the Indian market. 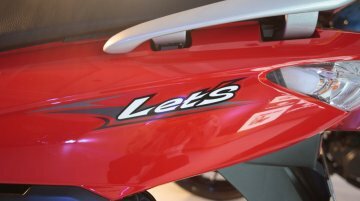 Suzuki Motorcycle India plans to first launch an electric scooter in.. 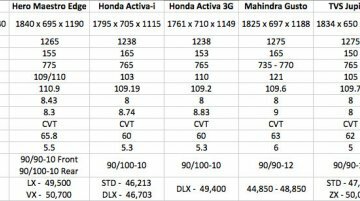 The Suzuki Let's competes against the Honda Activa 4G, Yamaha Fascino and TVS Jupiter. Suzuki Motorcycle India Pvt Ltd has introduced a new dual tone variant of the Suzuki Let’s. 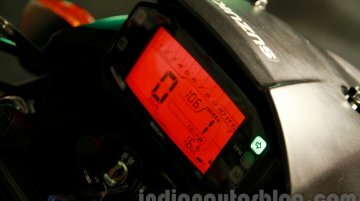 Mechanically the..
Suzuki India has been operational in India since February 2006. 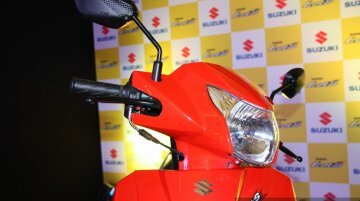 Suzuki Motorcycle India Pvt Ltd has launched the BSIV compliant Suzuki Hayate EP and Suzuki Let’s. The company also officially.. 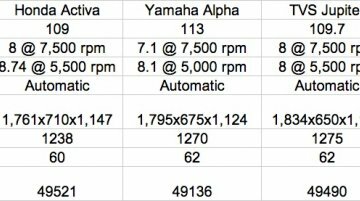 Both the new Hero scooters claim higher mileage than the other 110 cc scooters. Hero MotoCorp has unveiled the Hero Duet and launched the Hero Maestro Edge in India. Both being powered by the same..
No change in the mechanical kit. 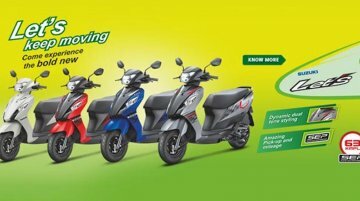 Two-wheeler manufacturer Suzuki Motorcycle India private limited has given its 110 cc scooter, the Suzuki Let's, new colour schemes. The Let's competes with the.. Priced at INR 50,600 (on-road Delhi). Suzuki has quietly unveiled a new set of dual tone color options for the Suzuki Let's scooter. Colors include Matte Grey/Matte Black, Pearl Suzuki Blue/Matte..
Will be imported from India sometime later this year. Suzuki Motors Lanka Ltd. has showcased the Suzuki Let's automatic scooter at the 2014 Colombo Motor Show. The two-wheeler is scheduled to go.. 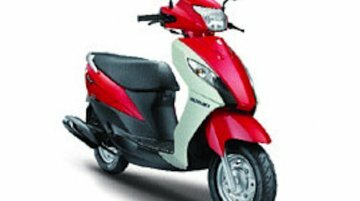 The Mahindra Gusto has been launched to take advantage of the lucrative 110 cc automatic scooter segment. 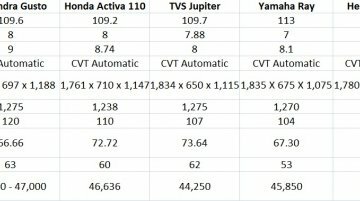 Here is a tech spec comparo of the new kid on the block against its rivals Honda Activa, TVS.. 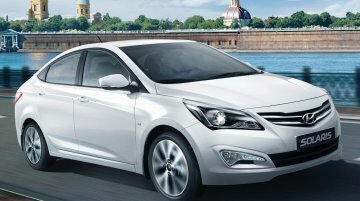 The new products would be launched in two years. Suzuki Motorcycle India is developing four new products which would be launched in the next two years, says a report in ET Auto. The product.. 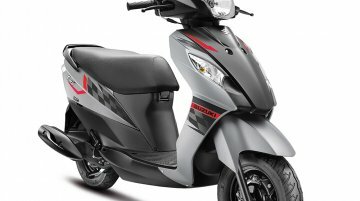 Buoyed by its scooter lineup's good show in India, Suzuki has decided to add more scooters to its portfolio. 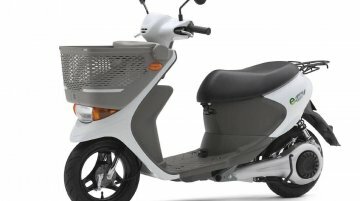 The Japanese two-wheeler maker previously announced that it will launch six new products..
Scooters are steadily gaining acceptance in the country as suggested by the Indian two wheeler sales report for FY2014. Almost every 4th two wheeler sold in the country last financial year was a.. Here is Part 2 of our compilation of significant automotive developments this past week. Click on the image to jump to the respective post. 1. Harley Davidson Project Livewire The Harley..
Replying to Indian Autos Blog's email query, Mr. Atul Gupta, Executive Vice President, marketing &amp; sales, Suzuki Motorcycles India Ltd., revealed that the Suzuki Let's scooter has clocked over.. 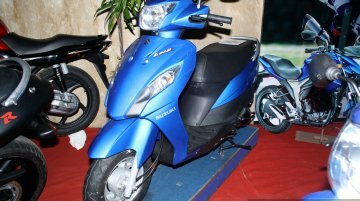 The Suzuki Let's scooter has been launched in Nepal at NRP 1,57,900 (around INR 99,046). 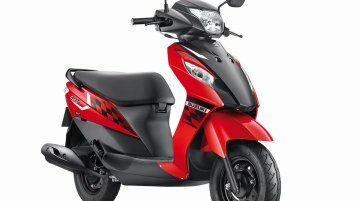 The made-in-India scooter will be sold in Nepal by VG Automobiles, the authorized distributor of Suzuki.. 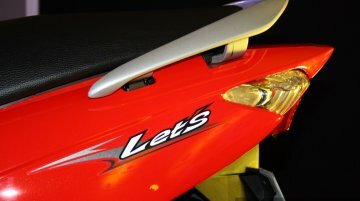 The recently-launched Suzuki Let's will have to compete with the Honda Activa, Yamaha Alpha, TVS Wego, TVS Jupiter and Hero Maestro. Needless to say, the scooter market sees highest sales in the 110..
Suzuki Motorcycles India launched the Suzuki Let's scooter today in Chennai. 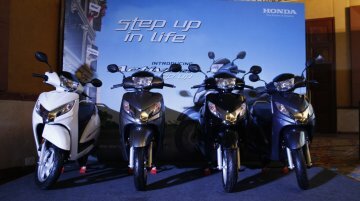 Though the scooter was revealed before the Auto Expo, the market launch and price announcement of the scooter took place..